40 illustrated jumping exercises by Michel Robert. A pocket-sized edition (12X17cm), handy to carry with you on your working arena. A pratical tool, and a useful backup to the Horse Academy videos. 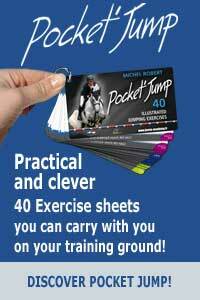 Pocket’Jump is a teaching aid made to accompany you to your training ground. 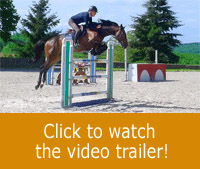 Its content was developed by Michel Robert, international jumping rider and author of several bestselling books. Each sheet clearly presents the desired results, the level of difficulty, illustrations (jumps, distances, lines) and specific advice from Michel Roberts.